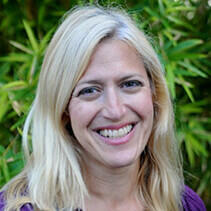 Beth Autin serves San Diego Zoo Global as Associate Director of Library Services. In this role, she is responsible for ensuring the San Diego Zoo Global Library supports the research and information needs of the Institute for Conservation Research, Zoo, and Safari Park. She focuses on keeping the portfolio of information research tools and resources aligned with the organization’s conservation projects and daily needs. She connects colleagues to critical information, ranging from answering questions to more in-depth literature research. Beth also manages a small team of staff and volunteers and oversees the San Diego Zoo Global Archives and Rare Book Collection. Beth’s primary focus is also her passion - maximizing value and improving processes. Current priorities include reviewing new resource opportunities and adding those most needed. She also spends a significant amount of time delving into San Diego Zoo Global’s Archives, locating and learning about the organization’s 100-year history. Beth earned her bachelor’s degree in Liberal Arts/Art History and her master’s degree in Library and Information Science from Louisiana State University. She is a Senior Member of the Academy of Health Information Professionals. Beth has worked as a librarian in a number of legal, business, and research environments, including over fifteen years in biotechnology. In this role, she supported the work of scientists and the research process, cumulating in the founding and ongoing development of the library for a leading molecular diagnostics company. Since joining San Diego Zoo Global, she has greatly enjoyed utilizing her knowledge and experience in a new, yet familiar environment. In her free time, she is a gray watering, composting vegetable gardener, who divides her time between a tiny house and a sailboat.